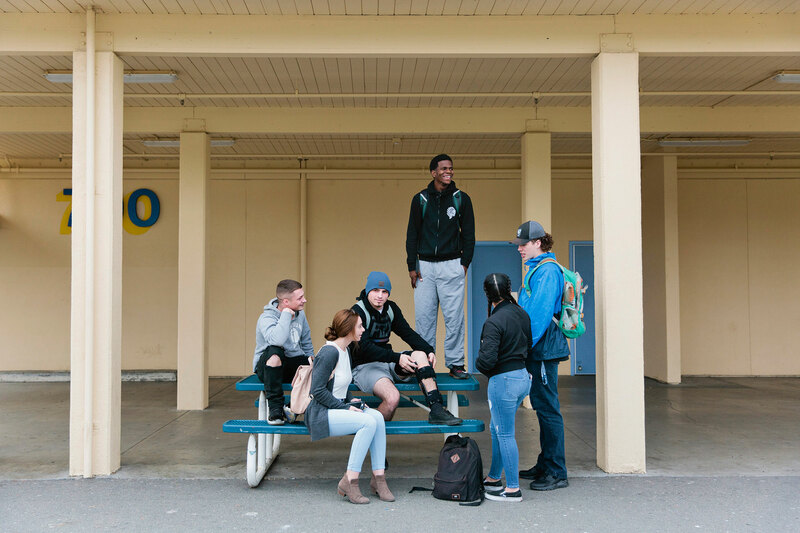 SAN JOSE, Calif.—It was not an ordinary lunch period at Downtown College Prep Alum Rock High. 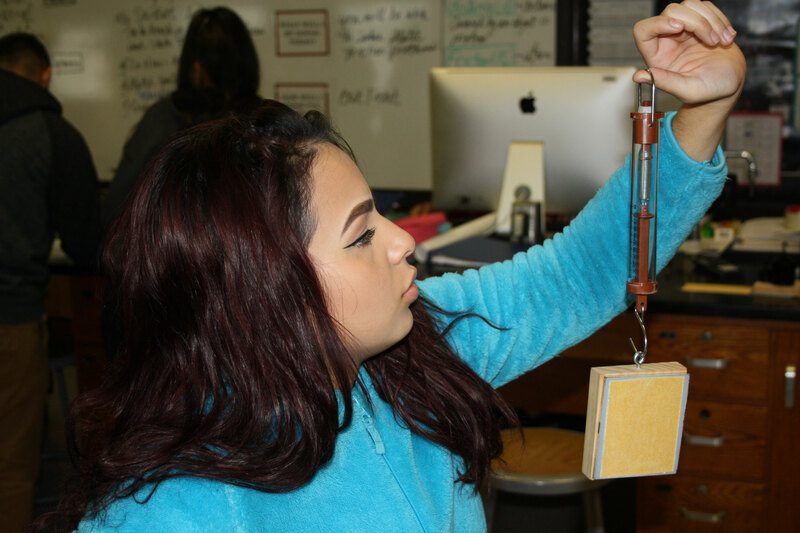 Berenice Espino and her Quest for Space teammates had gathered in the engineering classroom to watch as a SpaceX rocket was launched into the atmosphere heading for the International Space Station, carrying onboard a science experiment they’d designed. NASA astronauts would test the device, which analyzes the effects of weightlessness on cooling and heating systems, and send data back to the students. The launch marked the latest effort by the five-year-old charter school to expose students to the skills they’ll need to access high-tech jobs. The day after the launch, for example, Espino and classmate Jaime Sanchez were learning Python programming through Udacity, an online education platform that offers “nanodegrees.” Other students in their engineering class were constructing a robot for the Dell-sponsored Silicon Valley Tech Challenge and designing a “tiny house” to shelter a homeless person. The kids who grow up in Silicon Valley’s Latino neighborhoods, the children of groundskeepers, janitors, cooks and construction workers, rarely get a shot at high-paying, high-tech jobs. Just 4.7 percent of the Valley’s tech professionals are Latino and 2.2 percent are African-American, according to 2015 data from the American Community Survey. By contrast, 57 percent are foreign-born, with many coming from India and China, a local industry group estimates. She leads a two-year-old district program designed to expose lower-income students to professional careers. Pathways, Exposure, Academic Connection, Knowledge (PEAK) takes students to local companies such as Google and Facebook, as well as to hospitals, law firms and other businesses. It also organizes weeklong internships and job shadowing during school breaks. “Our goal is for them to see tech as something they could choose,” said Larizadeh. During the summer before the students’ senior year, Genesys Works trains them in technical skills, such as information technology, as well as soft skills, like writing professional emails, handling feedback and networking. Once school starts, students spend their mornings in class and their afternoons at work, averaging 20 hours a week at $13 to $15 an hour. Nearly all enroll in college, says Peter Katz, executive director of Genesys Works-Bay Area. While DCP Alum Rock’s first graduating class is finishing their first year of college, graduates of its sister school near downtown San Jose, DCP El Primero High, have been moving on to higher education for over a decade; the first class graduated in 2004. Those who earn in-demand tech degrees tend to do well, said Edgar Chavez, college success director for the Downtown College Prep charter network, which also includes two middle schools. However, many students major in the social sciences in college, then struggle to find professional jobs. To help college graduates launch careers, DCP now provides career counseling—and sometimes internships. Chavez is pushing every student to complete a summer internship in college—or earlier. “Even achievers don’t see engineering as an option,” said Ruelas, a Mexican immigrant who struggled to learn English so he could earn a materials science degree at San Jose State. When students try it, they’re hooked, he says. “It’s beneficial to realize that not everybody looks like them and to have that experience before they go to college,” said Neal. This story on STEM education was produced by The Hechinger Report, a nonprofit, independent news organization focused on inequality and innovation in education. Sign up for our newsletter. Joanne Jacobs, formerly of the San Jose Mercury News, is a freelance journalist who blogs at joannejacobs.com.